Born in Cut Off, Louisiana. “Born and raised in Cut off, Louisiana, or “down the bayou” as they like to call it, Tommy graduated from South Lafourche High School in Galliano, LA, before going on to college at the University of Louisiana in Lafayette, LA. While at UL, he was a member of Sigma Alpha Epsilon fraternity, Student Government Association, and the Student Orientation Staff. After earning his Bachelor of Arts majoring in Pre-Law, he then decided to attend law school at the Loyola University College of Law, where he earned his juris doctorate in the civil law division. Tommy was admitted to the Louisiana State Bar in December of 2014. 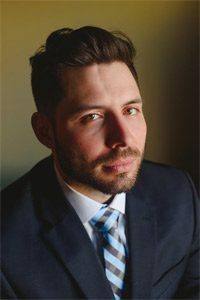 Prior to joining the team at The Law Offices of Frank D’Amico, Tommy started his own solo practice, The Law Office of Tommy J. Badeaux, in the summer of 2015. There he participated in all aspects of the general practice, focusing mainly in the areas of Personal Injury & Auto Accident claims. Having endured his own catastrophic injuries from a serious car cash only years ago, Tommy knows first-hand how difficult and stressful dealing with injuries from an accident can be. He is extremely knowledgeable in all aspects of personal injury law and has worked tirelessly to get his clients over a million dollars in compensation they deserved during his short time as a practicing attorney.